If you love your cat as much as she loves you or even half as much, then you will do all your best to find the healthiest food for her. It is important that you buy food that your furry friend will love to eat every day. Best wet cat foods are more nutritious and have a better balance of ingredients. This means that the premium wet cat foods are better balanced as compared to dry cat foods. Most dry foods have a higher concentration of carbohydrates and thus may be less suitable for adult cats. However, not all have high levels of carbohydrates. Wet cat foods help keep your cat hydrated. When comparing wet food to dry food, wet foods have a higher moisture content to ensure your cat stay hydrated. When your cat is solely feeding on dry food, he will have to drink more water to stay hydrated. Most of the times, this doesn’t happen, and he may not drink enough for their bodies. This gives wet food an edge over dry food since your pet will remain hydrated and healthy all the time. However, since no one product can be best for every cat, you need to know how to choose the best wat food for your cat. That’s why we have prepared a comprehensive guide for you before reviewing the top 10 best wet cat food on the market. Best wet cat foods are well-balanced and thus ideal for your feline’s nutrition. If not feed properly, domesticated cats can be prone to infections. That’s why you need to find nutritious foods to feed your cat. 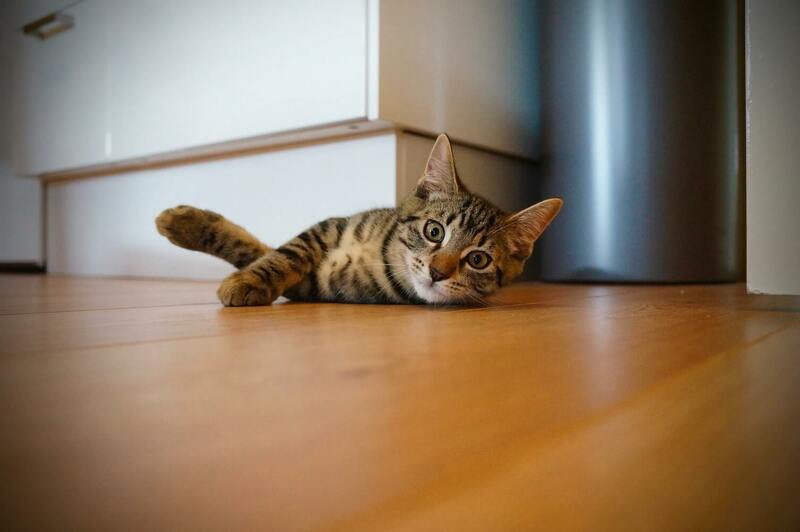 Indoor cats tend to lead a less-active life compared to those in the outdoor environment. Since they don’t go hunting for food, they don’t move a lot. And this sedentary life causes many cats to become overweight. There are many health complications that are associated with obesity including diabetes, liver diseases, etc. Wet food that is specially manufactured for cats contains fewer calories and fat than typical wild meat that outdoor cats eat. Plus, they have a nutrient called L-Carnitine to help turn fatty acids into energy so as to maintain a healthy weight in indoor cats. These foods have enough energy for cats to be active all day but also limit the accumulation of fats in their bodies. Cats have a habit of grooming themselves, and as they do it, there is a small amount of hair they swallow every time. These hairs can accumulate in a cat’s stomach to form hairballs. As these hairballs continue getting bigger, they can cause intestinal blockage. For outdoor cats, they eat grass which supplies them with fiber. This helps them pass hairballs out successfully. However, since there is no grass inside your house, you need to feed your cat with fiber-rich wet diet. The fiber in this food not only prevent accumulation of hairballs in the intestines but also improve your cat’s digestive systems. So, now that you know why you should feed your domestic cat nutritious foods, how do you buy the best wet cat foods for her? Here are the things to keep in mind. Cats of different ages need different nutrients as they have varying nutritional needs. For instance, little kittens need wet foods that have small and soft pellets enough for them to chew and digest easily. They also need foods with a significant amount of protein and other essential nutrients such as minerals and vitamins. Foods meant for kittens is quite different from that of adult cats. Senior cats’ food has a low amount of carbohydrate since they don’t need a lot of energy. It also has a lot of minerals to help make their bones stronger and joints better. In general, you need to consider age when choosing the best cat food for your feline friend. Not all cats are born equal and healthy. Different cats have varying health needs. Some have sensitive stomachs that are affected by certain ingredients. Others have a weak immune system, thus necessitating foods with certain vitamins and minerals. Other cats are allergic to certain ingredients. As a cat owner, you should know the health profile of your cat so as to buy him food that will cater to those needs. As you know, your cat health is dependent on the food he eats. Therefore, go for wet foods that are very nutritious if you know your cat has health issues. You should buy foods that have artificial preservatives and flavors. Artificial preservatives pose a health threat to your cat in the long-run. Only buy wet foods that have natural preservatives and flavors in them. Some of the natural preservatives used in wet foods include Vitamin E and C. These preservatives pose no threat to your cat’s health. When buying best cat wet food, try to buy those that are packed in smaller cans rather than one big container. This is because foods in small cans will get eaten faster and thus you will be feeding your cat fresh food most of the times. Wet food should contain one or more types of natural, high-quality protein as one of the main ingredients. This is because your cat is carnivorous and thus need meat for optimal growth. Avoid cat foods with artificial flavors, fats, and other fillers. Your cat deserves the best, and that’s why you should buy food that is well-balanced and has all the needed nutrients. These are the remains from slaughtered animals. They include kidney, lungs, fats, bones, etc. The problem with meat by-products is that they have very little nutrition value. Cat food manufacturers often use them as a cheap source of protein, but in reality, their quality is not good. These are artificial preservatives that are used to make wet cat food last longer. They are linked to certain types of cancer. That’s why we advise you to go for cat foods that have used natural or no preservatives. If you do not want your feline friend to be overweight, you should avoid foods with an excessive amount of this ingredient. It supplies your cat with an excessive amount of carbohydrate. Having talked about that, here is how you can choose the best wet foods for cats. If you can afford to go for pricey cat food, you should know that being expensive doesn’t necessarily mean quality. A cat food might be pricey but unbalanced. We always advise buyers to purchase a little amount of cat food at first, to make sure their cat likes the food and it is suitable for their nutrition needs. Once they verify the food is suitable for their cat, they can buy in bulk. Always do your research to know the best cat food within your budget range. However, avoid foods that are overly cheap. Reading the labels of wet foods will give you a better idea of its quality. You will know the list of ingredients in the food and whether or not protein is listed as the first ingredient. The first ingredient should be a salmon meal, chicken, lamb, or any other high-quality, natural protein. Help your cat develop a strong body with silky fur by giving it this Purina cat food. This food is made for cats with stomach sensitivities featuring added minerals and vitamins. You find different flavors for this cat food so that you can choose the right flavor for your cat. Your cat of any age will not get enough of this affordable cat food. This is a fantastic cat food that contains wholesome ingredients to ensure proper nutrition for your cat. It food comes in easy to open cups that are also easy to store. Better yet, you can get poultry free options if your furry friend has an allergy to poultry. Intense Beauty is a worthy choice for your cat especially if you need to improve their coat and skin. The meal is packed with fatty acids, B vitamins, zinc, and Biotin. The wet food is instinctively preferred by adult cats by utilizing Macro Nutrient Profile Science. This Hill’s Science Diet is cat food that has been formulated to assist in dealing with all urinary system issues. The meal is recommended for older cats between 1 – 6 years and has scientifically proven antioxidants that help enhance your cat’s immune system. This is a nutrient rich recipe with nutrients such as omegas, vitamins, minerals, antioxidants, and taurine. The primary source of protein is the kitchen which is not only delicious but also high quality. You will appreciate this blend since the ingredients used are excellent. Hill’s Ideal Balance chicken stew cat food is made with all natural ingredients, vitamins, amino acids, and antioxidants in a flavorful sauce that your cat will love. The canned cat food comes with lean proteins to keep your cat slim and trim. The company has attached a 100% satisfaction guarantee. This cat food comes with high-quality protein from Tuna or Salmon for healthy growth. What’s more, this food is ideal for cats with allergies as it is grain free and comes with no artificial preservatives, flavors or colors. Finally, it comes with perfectly sized meals so that you don’t have to refrigerate the leftovers. This is delicious food for adult cats made from real chicken. Its primary objective is to ensure that your cat has a properly functioning urinary system. It comes with all the necessary ingredients needed for your cat’s growth. This is an all-natural wet cat food that’s formulated to meet the needs of your kitten or adult cat. It comes in sealed cups that can be used to serve the cat without using other utensils. Better yet, it has real veggies that add vitamins and antioxidants required for a strong immune system. Blue Basics is a reputable brand for its unique formulas that help fight allergies while offering a balanced diet. The food does not contain chicken and beef which may cause allergies for some cats. Moreover, it’s packed with numerous nutrients to ensure your cat stays happy and strong. If the food has ticked all of these boxes, then it is the right one for your cat. What is more important is not to have one ingredient, such as protein, in excess. The aim is to go for cat food that has a good balance of all the essential ingredients. To conclude our guide, we hope that you have been able to choose the best wet food for your cat. All the products we have reviewed here do have some similarities as well as dissimilarities. However, we can assure you that all of them were listed after we did in-depth and thorough research. Whatever product you will choose from the above list, your cat will benefit greatly from it. Happy shopping!